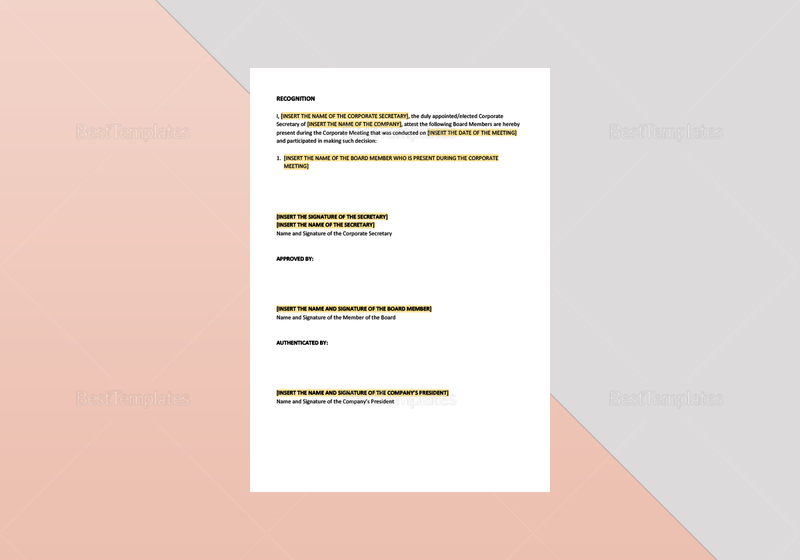 A board resolution template that companies can use for the approval of financial statements. This template is affordable and easy to use. 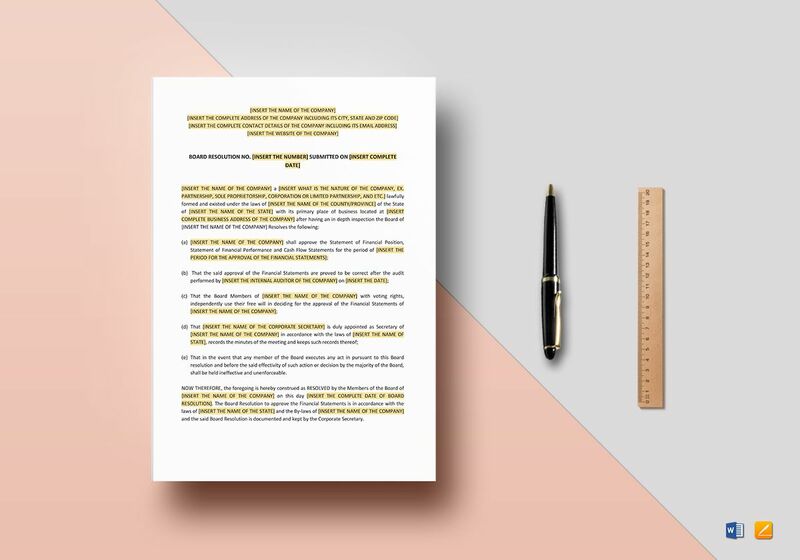 Simply replace the highlighted text with the necessary details of the board resolution. 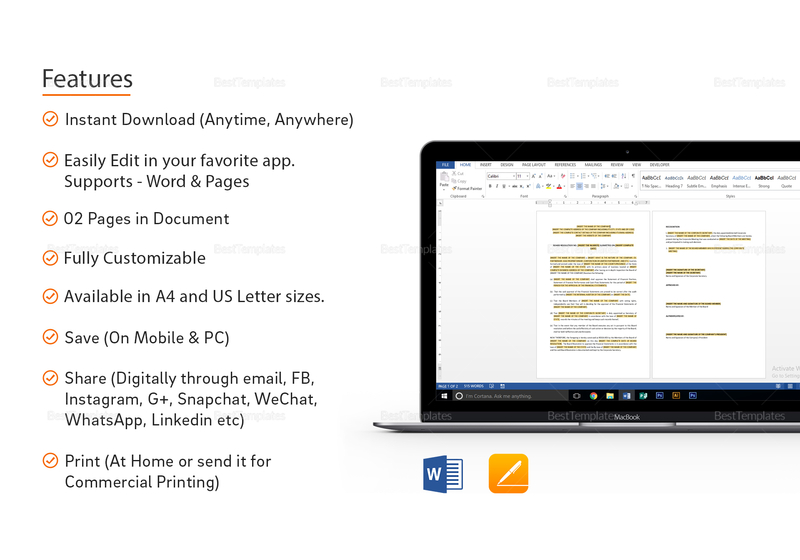 This is printable and fully customizable in all versions of MS Word and Apple Pages.